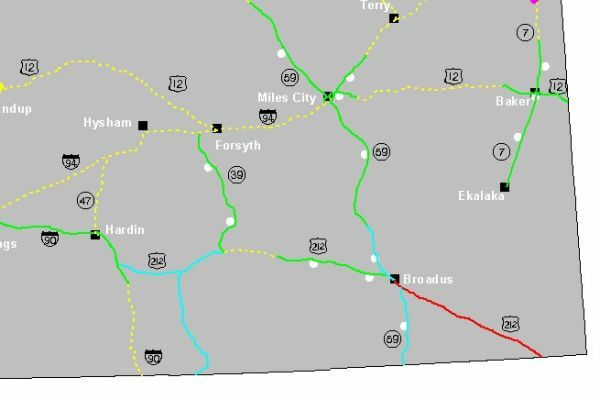 Montana Road Condition map, showing Highway 212 closed Monday afternoon due to crash. BROADUS, Mont. 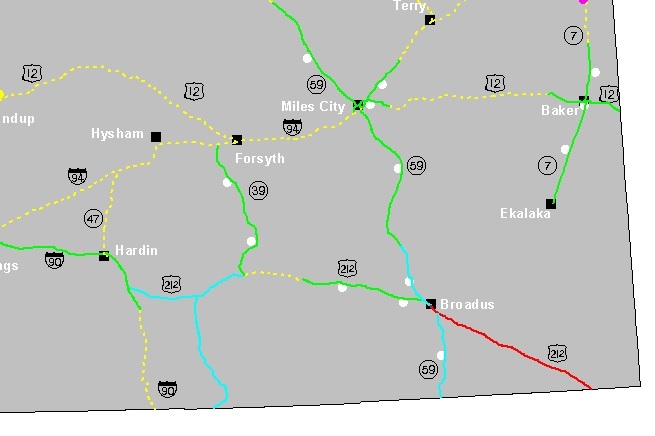 - A crash involving three trucks, one of them a military truck, closed Highway 212 between Broadus and Alzada in southeastern Montana Monday. Kittelmann says the crash happened between Hammond and Boyes. The Carter County Sheriff’s Office and Montana Highway Patrol kept the nearly 60-mile stretch of highway closed until the accident scene could be cleared. It was reopened Monday night. Kittelmann said the Air Force assisted in clearing the military projectiles.